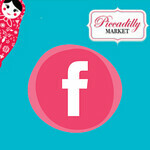 I am so over the moon with the very first Piccadilly Market yesterday. It was a beautiful morning to be on the waterfront so the weather gods were very kind. There were people queued up before the doors opened. My people on the doors estimated at least 2000 people came to have a peek and from all accounts you all seemed to be happy with what the amazing stall holders had on offer. taken by my extremely awesome friend and photographer Pamela. 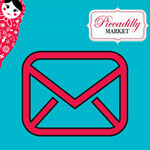 We had a chance to win some fabulous prizes by signing up to the mailing list. I was overwhelmed with the number of people so I will endevour to draw out some lucky people in the next couple of days. 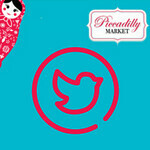 Please stop back again this week for a chance to win a couple of goodies simply by giving me some feedback. Here is the lucky winner of the $100 voucher and her beautiful purchase. A HUGE thank you to my friends and family who have supported me in helping me acheive my dream. Special thanks to Pamela, Vicki, Kate, Shane, Mum, Ian and the fabulous Superman aka Luke. I had to go to Adelaide on Sunday and I missed the market - but I have just seen that you are having it again on August 1st - this time I WILL be there. I can't wait. What a wonderful day!! The place looked amazing and it was so good to be a part of it all. Can't wait for the next market!! I was out of town for the day also but I will hopefully not miss the next one. Looks awesome and I've been saying Geelong needs something like this for years!